Remote Video Surveillance may be scheduled when required to protect lone workers, to supplement your own security teams or to give 24/7 cover to critical locations. The addition of intelligent video analytics allows us to detect, view and respond to suspicious activity immediately with live event-based monitoring, real-time alert notifications and instant response options. Real-time deterrence and prevention is just a click away. 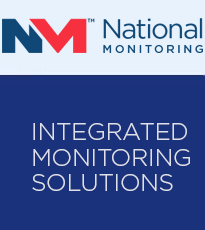 The complete, all-in-one surveillance solution includes intelligent video analytics, edge storage, remote monitoring, and instant notifications so security personnel can respond to activities that matter. These solutions are ideal for remote perimeter protection, critical infrastructure security and to help reduce the costs of physical security guarding. Intelligent video analytics and 24/7 surveillance from National Monitoring deliver the most effective real-time prevention solution to theft, vandalism and sabotage.